The Big Jewish Summer Fete celebrates the richness of Jewish culture, and to make it happen, we need the input and support of our community. There are many ways of getting involved: whether by helping on the day, running an activity or a stall, performing on our stage, or through sponsorship. The Big Jewish Summer Fete's core are activity stalls: from Jewish workshops and arts & crafts, face painting to food markets, we're looking for people to showcase their crafts and skills whilst getting the public interested in Jewish culture. Please get in touch if you'd like to contribute. 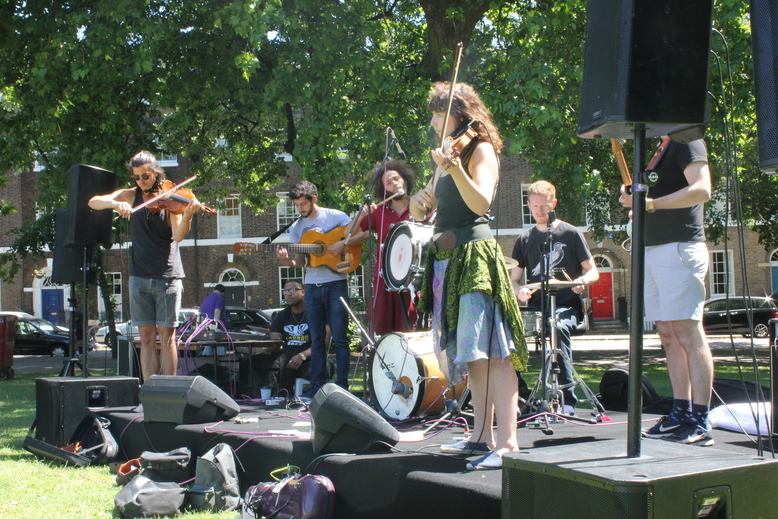 We're looking for musicians and dancers to perform at the Big Jewish Summer Fete. We're particularly interested in hearing from artists working with Klezmer, contemporary Jewish pop and Israeli folk. Please get in touch if you'd like to get involved. Our Jewish Speakers's Corner is a TED-style hub of short talks on everything Jewish: from arts and literature, through Hebrew and Judaism, to cooking and entertainment. Take a look at our 2017 programme. Please get in touch if you'd like to give a talk. Volunteers are key in making the Big Jewish Summer Fete a success. We have lots of volunteering roles available: from handing out programmes and chatting to the public, setting up, managing stalls and areas. Running a big event is expensive, and so we're looking for sponsors to make the Big Jewish Summer Fete possible. Please get in touch to find out more about our sponsorship packages.